Light shifting breeze, some rainshowers in the afternoon. Nets open 06-13, netmeter hours approx. 2500. Playback on Green Sandpiper. Around 2/3 of the waders had left Revtangen, therfore we abandoned the planned session with walk-in traps and put up the mistnets instead. 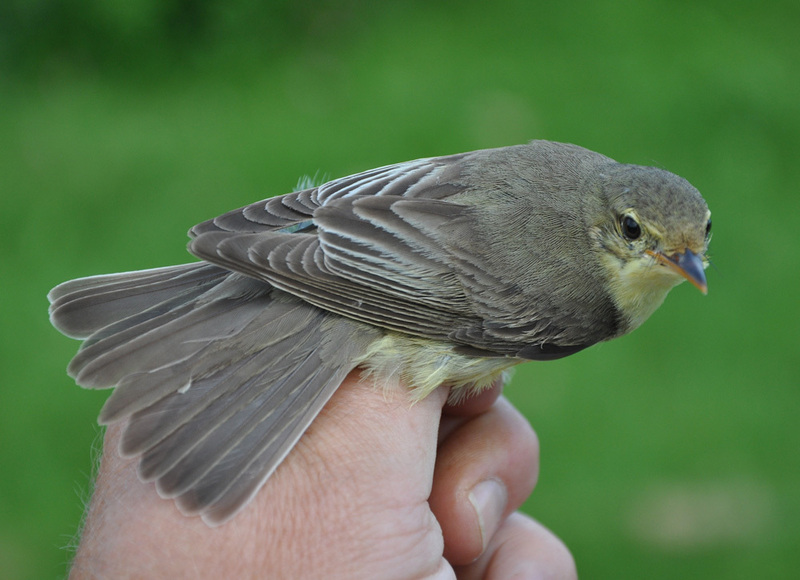 Ringed: Green Sandpiper 1, Common Sandpiper 1, Barn Swallow 2, Meadow Pipit 2, White Wagtail 1, European Robin 1, Fieldfare 3, Sedge Warbler 1, Icterine Warbler 1, Willow Warbler 37, Chiffchaff 1, House Sparrow 2, Chaffinch 1, Greenfinch 7, Common Linnet 3. Total = 64. 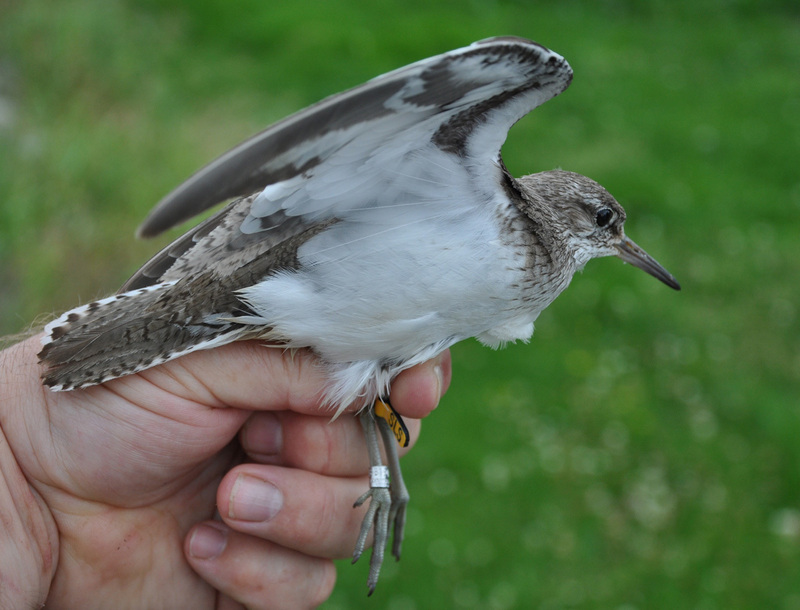 Adult Common Sandpiper, a surprise catch in the trapping area at the station. Strandsnipe 2K+. 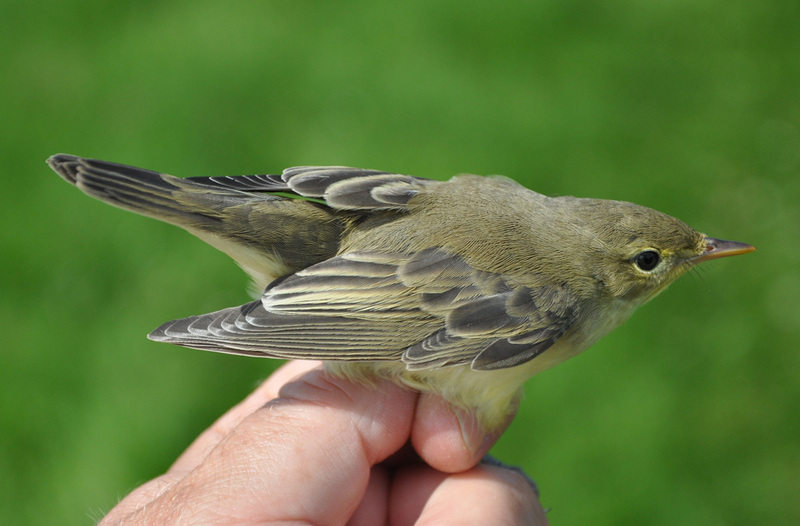 Icterine Warblers. Adult (top) and 1cy. Notice the worn plumage on the adult. Gulsanger 2K+ (øverst) og 1K. Observations Revtangen: Turnstone 50, Curlew Sandpiper 5, Common Redshank 31. A colourringed Sanderling was read. Alf Tore Mjös and Morten Stokke.